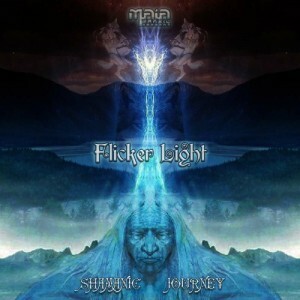 Maia Brasil Records, a new psychedelic label from Brazil presents Shamanic Journey by Flicker Light created by Ricco Mazzer. This release has an eccentric psychedelic and progressive style, dark ambiance, heavy bass grooves, and vocals in Portuguese and English. Mastered by Ricco Mazzer, artwork by Shivaz Om. MP3 Download | FLAC Download | WAV Download · Download count: 11,097.
tHX A MiLLiON! good luck with your label! greets to BRASiL!!!!! b0M! Nice music, but… Uuuuhm… “Who use this drugs”? No problem if your English isn’t perfect, but please have it checked before you put it on a CD Sleeve design. It’s even in the sample (wherein the word ‘these’ is clearly hearable), so you guys could have looked it up on IMDB or wherever, or just ask anyone who knows how to write English. If you listened to it, the day was not in vain.